Product prices and availability are accurate as of 2019-04-25 09:07:26 UTC and are subject to change. Any price and availability information displayed on http://www.amazon.co.uk/ at the time of purchase will apply to the purchase of this product. 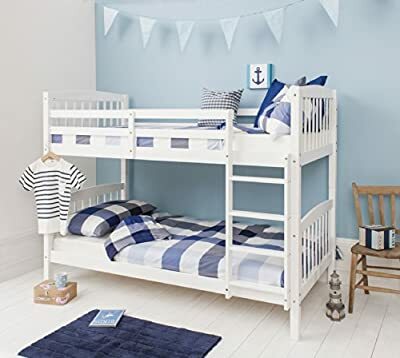 Our stylish shaker style bunk bed with its bright White frame is perfect for space saving whilst providing a fresh, contemporary look in your children's bedroom. 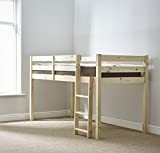 Great for those sharing a room or for sleepovers, the Brighton is a solid and safe bunk that's easy to convert into 2 single beds - perfect for when your children are a little older. Overall Dimensions Length 2020mm Height 1540mm Width 990 mm. 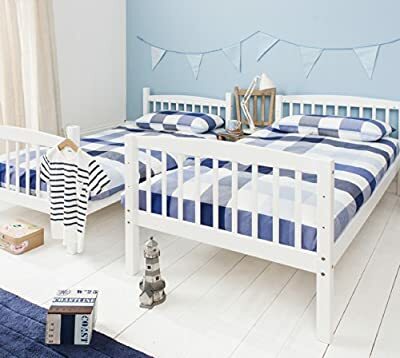 Bunk Bed in White Can be split into 2 Singles; This item comes Flat Packed for Home Assembly Fits two standard single 3ft mattresses (190x90cm) - Mattresses not included Overall Dimensions Length 202cm x Height 154cm x Width 99cm Unfortunately due to the size of the item we are unable to ship to Scottish Highlands or Islands, the Channel Islands or Northern Ireland. If you are unsure please contact us.